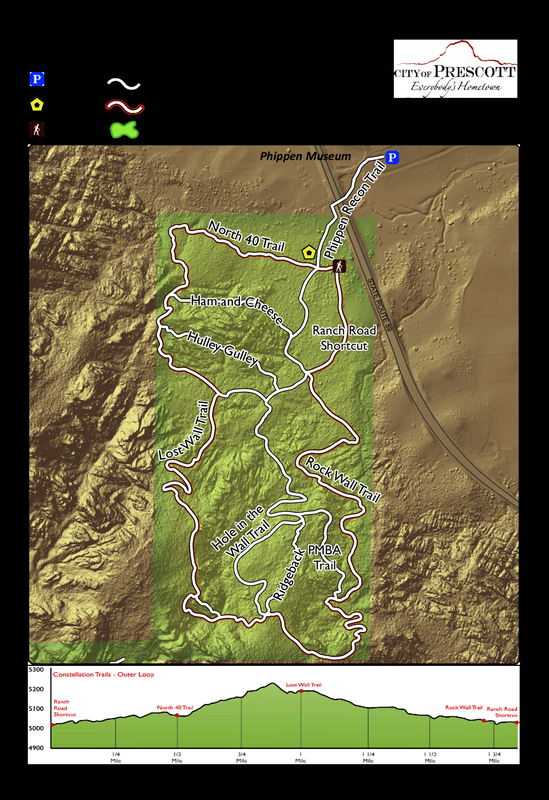 Prescott Constellation Trails is a 3.35 mile network of trails hike with 23 feet accumulated elevation gain. Located 3 miles north-northeast of Prescott Arizona. April and October are the best months to enjoy this hike. Popular destination for locals, traveling families and hikers of all ages. Eleven little trails netting 3.35 miles. Junctions are signed with maps and helpful "you are here" dots. Go in and explore. Post a triplog and tell us about your adventure. 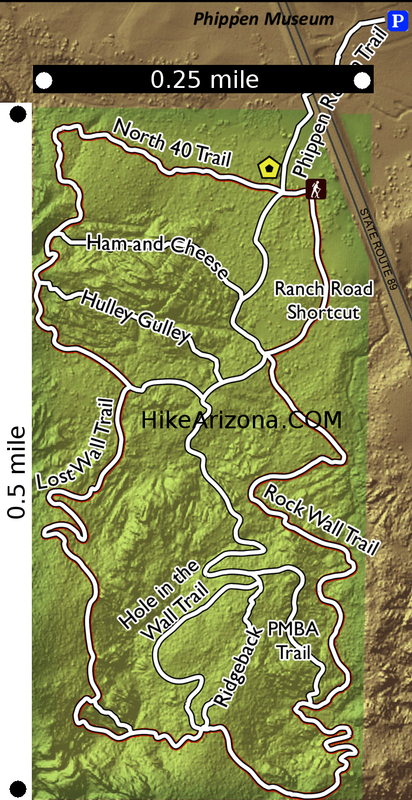 The entire trail system is only 0.25 mile wide and 0.5 mile north to south as seen on this map.